Liverpool finally found their groove against Crystal Palace early on in the second half, the Reds must have received a stern talking to from Jurgen Klopp to come out the way they did. It took the reds just 55 seconds to score after the second half kicked off. 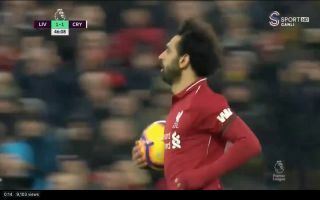 Virgil Van Dijk attempted a audacious long-range effort which was blocked, the ball was gift-wrapped and dropped right in front of an unmarked Mohamed Salah in the Palace box. The Egyptian produced a lovely instinctive finish to equalise for the Reds. Seven minutes later Jurgen Klopp’s men turned up the heat and took the lead against the Eagles through Roberto Firmino, in the 53rd minute of the tie the Brazilian weaved around in the box before creating just enough space to take a shot on goal. Firmino’s low effort wasn’t contested and it creeped into the bottom corner. This afternoon’s match has certainly been a thrilling encounter.